Single day or multiday adventures. Learn wilderness skills, fire making, map and compass, and more. Personal development in an experiential education environment. Learn to use a compass and read a map. 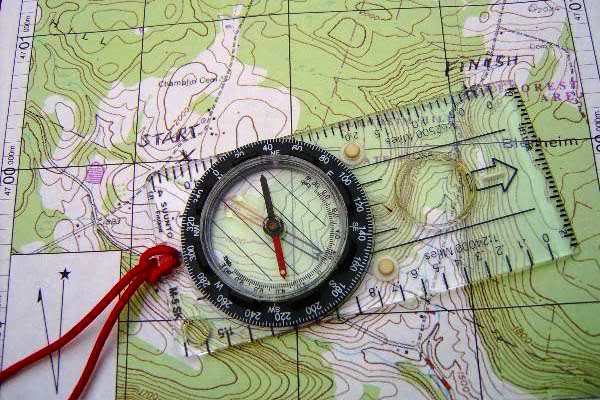 This workshop covers basic topographical map and compass orientation skills. We begin in a classroom setting where we will learn the basics of map topography, compass anatomy, bearings, triangulation, and survival psychology basics. Then we head to the field in the Colorado Front Range to test our skills and apply them to real life. Learn the basics of GPS navigation. We will explore how to input a coordinate, use waypoints to set a route, how to go from a GPS coordinate to a physical map, and how to geo-cache. Shhhh, don’t tell anyone about that last part. It is a secret. Connect with nature’s healing energy. Spirit hiking is a unique hiking experience involving walking meditation, guided meditation, and yoga in a natural setting. Along the way, students will learn about the natural world including a “one match fire” and survival basics. Flashlights not required! See Mother Nature in a whole new light. We will hike, meditate, and practice gratitude under the soft glow of the full moon. Magical. An incredible combination of two wonderful experiences: Yoga + Nature This adventure begins with a 30 minute hike in the Colorado Front Range, followed by a 60 minute yoga class and the return hike out. Along the way you may learn tips and tricks about shelter building, survival, wilderness skills, and Leave No Trace.